Featuring the Boarding School Admissions Data and Statistics that Matter Most. Are you searching for the best boarding schools or prep schools in the world? Milton Academy + 20 more top boarding schools. Want to find our which boarding/prep schools are consistently ranked in the leading boarding schools around the world? Through research and dedication, we've compiled a list of the best boarding prep schools in the world. You need to read this entire article about top prep schools to understand who, what, and why boarding schools make sense for more students. Best Boarding Schools in the World - Ranking List. Perhaps you're applying to prep schools and need to find out what's required of you in order to get accepted to these private schools... or maybe you're a parent who want to know what SSAT scores are required for students applying to these schools. You might even be a college admissions officer who wants to know how these boarding schools rank amongst their peer group - schools like Exeter, Andover, Deerfield Choate, Lawrenceville, Groton, St. Mark's, St. Paul's, Milton Academy, Middlesex, and many more from NMH School to Blair Academy. It's a big deal to get accepted to top schools like Phillips Exeter and Phillips Academy Andover. These schools offer unparalleled access to top educators/teachers/instructors who will guide you to the best universities and even amazing careers. Amazing facilities for sports and academics. Advanced educational opportunities vis-a-vis AP Exams and IB Programs. The highest SAT Scores and ACT Scores in the world. Opportunities to attend Ivy League Schools (Harvard, Yale, Princeton, Cornell... and to schools like MIT and Stanford). One-on-one instruction and great student to teacher ratios. Awesome study abroad opportunities for students and international students from around the world. If you want to get accepted to the top boarding schools in the world, you need an advantage to compete. The official rankings list we've created at StudyHall will provide you with just that. Gain access to inside boarding school admissions data (SSAT, ISEE Scores/Medians/Averages). Find out which boarding schools are the most selective (admissions acceptance rates). Know which schools have been the most successful in terms of alumni and career potential. Know which schools have the most successful students on the SAT and ACT exams. Know which schools send most of their students to the Ivy League (and top colleges). By the way... If you're searching for SSAT Prep, click here. What's included in these boarding school rankings package? 90 Minute, One-on-One Session with the #1 Boarding School Admissions Expert. Official List of Top 25 Boarding Schools. 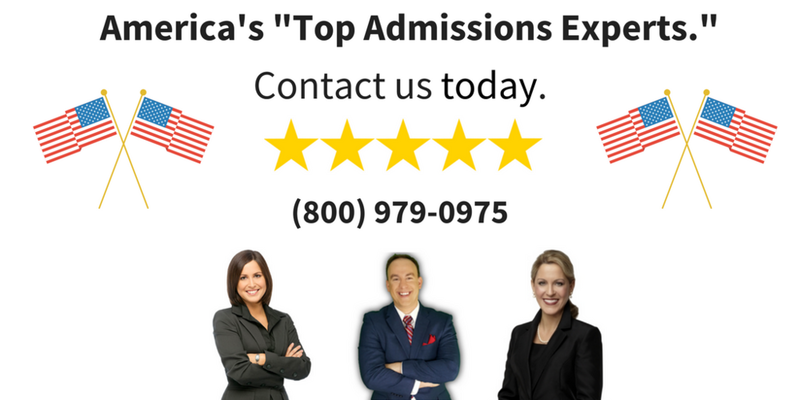 How You'll Get Accepted - Top 10 Ways to Gain Admission. Signed Book of "Admit You - Top Boarding Schools." What are the "best boarding schools in the world?" Located in Exeter, New Hampshire, this co-ed school boasts a large student body of more than 1,000 students and the largest endowment of any New England prep school, at more than $1 billion. There are 131 buildings on 671 acres. The school is noted for creating the Harkness method of teaching, where students and their teacher meet for each class at an oval table. Alumni include United States President Franklin Pierce, historian Arthur Schlesinger Jr. and Facebook founder Mark Zuckerberg. Located in Lawrenceville, New Jersey, the co-ed school has a 700-acre campus near Princeton and between New York City and Philadelphia. Most popular college destinations for recent graduates are Princeton University, Duke University and Georgetown University. Notable alumni include musicians Dierks Bentley and Huey Lewis, White House press secretary Jay Carney and former NBC executive Brandon Tartikoff. Located in Andover, Massachusetts, the co-ed school is 25 miles north of Boston on a 500-acre campus. Its most famous graduates are United States President George H.W. Bush, United States President George W. Bush and Super Bowl winning football coach Bill Belichick. Once known for preparing its students to attend Yale, Andover now sends graduates to nearly all of the nation’s elite colleges. It admits roughly 1 of 6 applicants and has an endowment of $868 million. According to a Harvard College student and alumni of Milton Academy: "Milton is known for its very green and well-groomed quad that sits in the center of campus. We use the Harkness round-table style of discussion. Class discussions are fueled by students, and participation is a factor in teacher evaluations. Everyone at Milton wants their peers to do well. We don't have to often toxic competitive atmosphere commonly found in many elite prep schools, while still being rigorous." Located on 2,000 acres in Concord, New Hampshire, the co-ed school is noted for having classes six days a week as well as a diverse student body. Notable alumni include banker J.P. Morgan Jr., former FBI director Robert Mueller, Doonesbury cartoonist Garry Trudeau and politician John Kerry. Located in Groton, Massachusetts, in the northeast part of the state, the co-ed school has a 415-acre campus and an endowment of $330 million. With an enrollment of less than 400 in grades 8 to 12, Groton is known for having a small community and its dedication to public service. Notable alumni include United States President Franklin Delano Roosevelt and New York Stock Exchange former president Richard Whitney. According a parent of St. Albans student, "Exceptional School. They educate boys to become exceptional men. My son has been there since 4th grade, and it has been a "home-away-from-home" for him. They learn at the top level of academics, but they also learn at the top level of character education to be men of integrity and goodwill. St. Albans forms the whole person. My son will have friends for life from St. Albans, many of whom have been his teachers or coaches." According a parent of a Noble and Greenough School student, "Teachers here typically hold the highest degree of their respective fields. Each teacher has their own individual teaching style that may work well for one student, but not the next. Regardless of the case, teachers are always willing to meet with students outside of class and are always available for extra help. All teachers are very knowledgable about their subject and they will always keep the student's best interest in mind. Teachers are also friends at Nobles, and it is not uncommon for students to text their teachers, babysit their children, walk their dogs, etc. The school depends heavily on its email system and students will always be able to keep in contact with their teachers through there." Located on 827 acres in Lakeville, Connecticut, in the rural northwestern part of the state. Founded to prepare young men to attend Yale University, the co-ed school’s graduates now attend nearly all of the nation’s top colleges and universities. Notable alumni include Time magazine founders Henry Luce and Briton Hadden, automotive moguls Henry Ford II, Edsel Ford and William Clay Ford, and Morgan Stanley founder Harold Stanley. Located in Deerfield, Massachusetts, in the western part of the state, this co-ed school is incredibly selective for its student body of roughly 600 students. Famous alumni include King Abdullah II of Jordan, publisher Nelson Doubleday Jr. and numerous congressmen. Located a short distance from the Pacific Ocean in Carpinteria along California’s Central Coast, this co-ed school has roughly 250 students. New York University, the University of Southern California, the University of Chicago and Stanford University are among the most popular college destinations for its recent graduates. Located in Concord, Massachusetts, 20 miles northwest of Boston, the co-ed school has a 350-acre campus and an enrollment approaching 400. Notable alumni include politician Bill Richardson and actor Steve Carell. Located in Ojai, California, 85 miles northwest of Los Angeles, this co-ed boarding school is located on 425 acres and is the oldest boarding school in the Golden State, founded in 1889. Nearly half of the roughly 250 students come from outside California and the school believes strongly in outdoors education; first-year students must care for a horse and dozens of weekend camping trips are offered. by purchasing the "World's Best Rankings" List Now. Why this is the best boarding school list you'll ever find... ever. SSAT Scores You Need to Get Accepted. Median and Average SSAT and ISEE Scores of the Best Boarding Schools. Examples of Admissions Essays that Worked to Get Accepted. As you know, there is a huge demand for college degrees within the workplace. Many individuals will rely heavily on their degree in order to obtain a career. With so much competition to secure a job and taking into consideration how over saturated the job market is today, it is vital that individuals receive the highest quality college education possible. This will start with having a high quality early education at the best prep schools in the world. Starting early preparing isn't a bad thing, it's the smart thing to do. Parents should consider sending their children to one of the best boarding schools in the world, to help ensure their son or daughter's success. By having your child attend one of the best prep schools in the world, you are helping to secure their future. Private schools and top boarding schools typically have a lot of requirements. Your child needs to show a lot of academic enthusiasm and a willingness to learn, as well as a competency level above average for their age bracket. Click Here to Find out What Scores You Need to Get Accepted to the Best Prep Schools. This can be achieved through SSAT test preparation, SSAT tutoring, and expert admissions counseling, all of which is offered at StudyHall. StudyHall’s primary goal is to make sure students are prepared when applying for the best prep schools in USA. When considering the school you would like for your child to attend you should review each private high schools ranking. Determining which school you would like for your child to attend can be a difficult process. This typically will involve a lot of research and comparison of the best schools. You should look very deeply into each specific school and see which traits best fit your child’s needs and future goals. Trying to send your child to one of the best boarding schools in the world can be a time consuming process because top boarding schools have a lot of requirements. Tutoring and test preparation are vital tools that you can utilize prior to applying to schools. Many of the best prep schools will look for high test scores and intelligence levels. Making sure your child is prepared intellectually can help you progress in your search. In many cases, it is not enough to simply have good grades and attendance. If this were true than everyone would attempt to send their children to one of the best prep schools. Most private schools are looking for more than that. The best prep schools are searching for students with outstanding qualities. We want to admit students who go above and beyond what is expected of them. Having students who are intellectually advanced, reflects well on the school and will help improve their reputation. Many schools want the best of the best. This is why many individuals are not accepted. However, the extra effort is usually worth it and pays off in the end. Having one of the top prep schools on their resume can aid individuals in getting into a highly reputable university... even Ivy League Schools. Higher level colleges and private high schools ranking in upper percentile are looking for the same qualities that the best boarding schools in the world are looking for. They want students who strive for excellency and have put in the extra effort required to have a bright and successful future. Many universities are also hard to get into and they will look over things such as grades, test scores, attendance, and what type of primary and secondary school the individual attended. Things like this make a huge difference is the decision making process for colleges. If you start thinking ahead and attempt to get into one of the top boarding schools or a school with the best private high schools ranking, you are making a serious investment in your future. In today’s job market, it is often not enough to have attending high school and then obtained a degree. Employers are sometimes looking for more than that. If your educational background stands out from the rest of the applicants, you are more likely to secure the job you want. The choices you make early on in your education will affect your entire future. That is why it is important that parents serious consider sending their child to some of the best boarding schools in the world. Parents should also seriously consider private tutoring and test preparation. tutors have also scored in the top 1 percentile. This means they are very qualified to teach your child valuable strategies for passing the Secondary School Admission Test. They will provide your child with customized study plans that specifically target you child’s overall strengths and weaknesses. In addition to this, they will also provide your child with practice Secondary School Admission Tests that they will personally grade and online videos that go along with your personal tutoring sessions. The private tutors at StudyHall have a successful record of helping students to improve their overall Secondary School Admission Tests and their experience can be very valuable in helping your child succeed. In addition to private tutoring, StudyHall also offers an online SSAT prep course and we also offer private tutors for the Independent School Entrance Exam. If your child needs assistance with admissions, StudyHall currently has over 30 admissions experts. We will work with students through the boarding school application process. This includes assistance with essays, application reviews, planning, drafting, interviews and online portal admissions. If your child is preparing for ivy league admissions, StudyHall can assist with that as well. The experts at StudyHall can help students achieve their dreams by assisting them through our admissions consulting and testing processes. Getting into prestigious schools and colleges can be a very difficult and time extensive process. Many applicants will fall short of the requirements set by the schools. This does not necessarily always have to be the case. With the right amount of determination and effort, anything is possible. That is why it is important to seek out all of the resources that you can, in order to help you further your education. If you want to have a high quality education, it may not necessarily always come easy. Being admitted into the best prep schools in USA and the top boarding schools in the world can be a difficult feat. What's included in this insider report on the top prep schools? Click above to purchase the official ranking of best prep schools in the world. One of the best places to start first is with your applications and test scores. It is important for students to apply themselves when it comes to tests such as the ACT and SSAT. These scores will impact each student’s future. They will be large determining factors in which school the individual is able to get into. This will also carry over into what jobs they may be able to obtain. The key to success is planning. You have to get a head start and decide early on what you want your educational and career path to be. If you are really determined to reach your goals then the next step is to create a detail oriented plan, with clear and concise steps that are achievable. If you want your child to succeed in life and have the best possible education to fall back on in an unstable job market, it is vital that you take into consideration test scores, applications and what type of school you want them to attend. The job market is ever changing and evolving. Sometimes, it is difficult to keep up. Having a quality education and excellent test scores is something that could potentially serve each individual very well. Utilizing services such as StudyHall, can make a huge difference on the outcome of your child’s future. Having high test scores and quality education could be the difference between securing an excellent career and falling behind in the job market. Our team has a proven record in improving SAT, ACT, SSAT, ISEE and MCAT scores. Our team of experts is also highly qualified in admissions and applications. Going the extra mile to be prepared and ready for a superior education can make an incredible difference in your child’s future and could potentially change the overall course they are headed on in life. You cannot really put a price on a quality education, it is something that will serve you for the rest of your life. It can offer stability in an ever changing economy. Why Choose StudyHall's Consultation and SSAT Private Tutoring Services? Through seeking out the services of a company like StudyHall, you are making the first step towards a successful future. Often, your child’s education may need supplication. Having a private tutor allows the lessons to be more easily customized. When tutors work one on one with student’s, we are able to fully recognize their strengths and weaknesses. This allows the tutor to adapt their study plans. This type of attention to detail is not always possible in a traditional education setting. That is why private tutoring has a lot to offer a student. Sometimes, even the student themselves is not fully able to recognize what areas with which they are struggling. Having someone guide them through the information their learning, in a detail oriented and personalized way can enhance comprehension. If you want your child to achieve the best possible test scores, private tutoring is certainly an option you should take into serious consideration. Even just improving your test scores by a few points, can sometimes make a huge difference. The expert team at StudyHall is well equipped to assist you in seeking enrollment in the top private high schools ranking and the best prep schools. Our representatives have first-hand experience in receiving a high quality education. We have personally attended some of the best boarding schools in the world and can provide vital knowledge about the process of being admitted and obtaining the best possible scores because they also have scored high on the tests as well. Overall, a quality education is important. If your child is struggling academically or if you just need that extra boost towards success, private tutoring and test prep is a route worth considering. In addition to these services, admissions and applications services can be highly beneficial as well. All of the services combined help the process of getting your child a respectable education go more smoothly and help ensure your likelihood of success when applying to the best prep schools and private schools. Everyone should consider giving their child the best start at a successful educational and professional career. One could argue that there is no better way to do that than to start planning early and utilize all of the resources available to you. It has been proven that private tutors increase test scores and everyone could use a bit of extra help sorting through all of the confusing paperwork and applications required to get into boarding and ivy league schools. This can be a very extensive and confusing process. Everyone could use a bit of extra help in attempting to achieve their goals and dreams. It is important to remember that the choices you make now for your child will indefinitely impact what type of jobs they will be able to secure upon graduating. SSAT Prep You Need to Get Accepted. Click here to learn about our SSAT Prep courses for the best boarding schools. StudyHall has a proven track record and success rate that can aid you in this very detail oriented and time consuming process. StudyHall is a highly distinguished test prep and admissions company that has been family owned and operated for more than 10 years. Currently, our team consists of more than 30 admissions experts and over 120 private tutors. We have an extensive wealth of knowledge about how to effectively write an admissions essay, the overall planning of admissions, the best private high schools ranking and the ranking of the best colleges and medical schools throughout the world. We offer expert level consultation and preparation in order to increase your child’s overall acceptance rate to the best boarding schools and private schools, Ivy League colleges and medical schools. We treat every customer with respect and patience. We respect each student’s drive for success and We sincerely want to see each student succeed to their full potential. They have experienced the process that you are likely currently experiencing and are able to offer real life, first hand consultation with a customized approach to ensure your child’s educational endeavors are successful when apply to top prep schools and private schools in general.